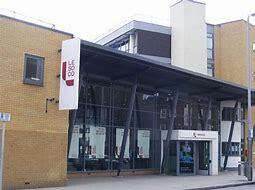 Southwark College have provided us with great facilities to provide fire marshal training and also fire extinguisher training courses. In addition, to a bright and modern room, we also have an outside space where we can light small fires for students to tackle. Our team provides fire risk assessment services for Southwark College. This is done annually. The facilities and maintenance team maintain very high fire safety standards and we are proud to assist them, as well as working at the college. The Southwark campus is so easy to find. It is across the road from the entrance to Southwark tube station. Walk along The Cut towards the New Vic theatre and also the Old Vic! If you are training with us, you can ask for a “How to find us map”. This will be sent to the person booking the course and will then be sent onto attendees.